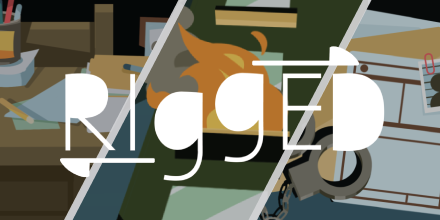 Last week, we released Rigged, a choose-your-own-adventure-style game designed to represent the experiences of youth trying to navigate school while experiencing challenges like homelessness, foster care placement, or incarceration. The game is a glimpse into the impossible tradeoffs these students face regularly. We collaborated with the folks at Filament Games, including the project’s sole engineer, Terra Lauterbach, to create this one-of-a-kind game. Terra has been a game engineer at Filament Games since early 2017, and for Rigged, she engineered the unique card-based mechanics and supported with the game’s user experience and sound design. I chatted with Terra to share more about the process of creating the game. The interview below has been lightly edited for length and clarity. What were the objectives in creating Rigged? Rigged was envisioned as an interactive way to help players develop increased understanding and empathy towards underserved youth who have spent time in juvenile detention, are on parole, or may simply be struggling to navigate the system. Bellwether wanted players to be able to relate to the characters in the story, putting users in the shoes of underserved individuals in order to promote inclusivity and a greater shared perspective. How did you approach designing a game around these topics? This entry was posted in Education Innovation, Education Technology, Equity, Student Data and tagged Ed Tech, educational games, Filament Games, games4ed, Rigged, seriousgames, Terra Lauterbach on October 4, 2018 by Jeremy Knight.